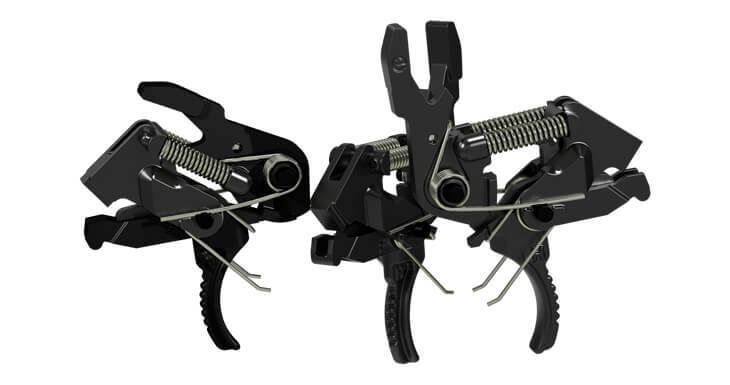 The frame component of the HIPERTOUCH® 24 FCG that provides the toggle spring system support is designed to ride on the barrel of semi-auto or “MIL-spec” safety/selectors (not full-auto). 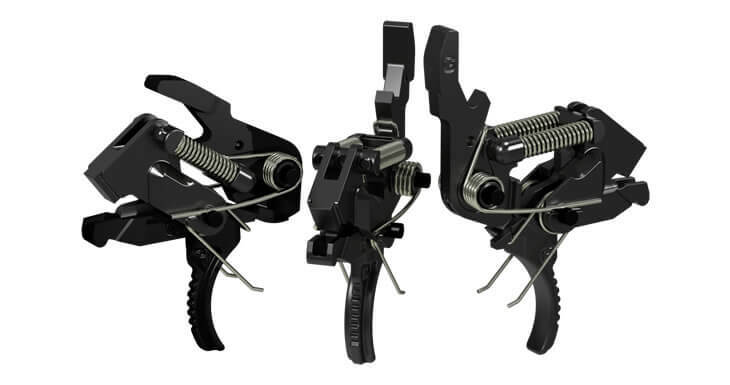 This permits normal functional rotation of the safety/selector. An aside: when the FCGs are first installed, some users will notice a little grit during rotation, which is a function of the surface finish on the safety/selector barrel. With a few cycles it will smooth out as the frame and safety/selector self polish. The ambi safeties listed above do not have a large contiguous cylindrical barrel surface like the stock version; two or more channels or a small diameter barrel have been cut into them that accepts the rear of the trigger when pulled into over travel. 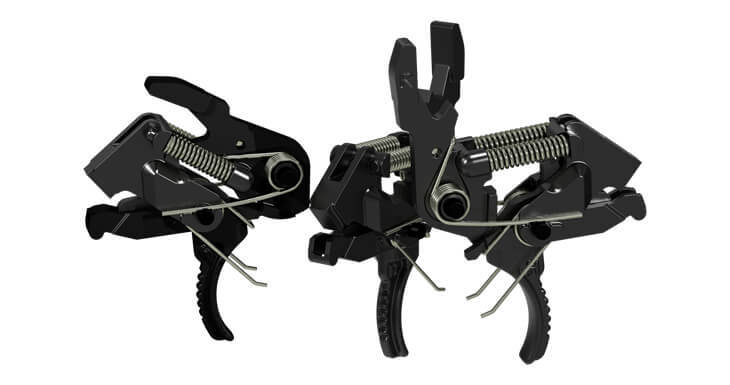 The toggle spring frame drops into these channels, which not only relieves necessary compression of the toggle springs but may also prevent free rotation of the safety/selector or even cause rotation of the selector during repeat fire as in the number two case above. The Seekins works in 60 deg throw mode in SAFE and FIRE w/o issue. However, in 90 deg throw mode, the trigger will rotate enough to release the hammer. This is because the trigger tail is shorter than MIL/stock triggers and can move up into the exposed Seekins SS slot just enough to release the hammer when pulled. Other Ambi Controls: The ambi bolt catch on S&W M&P10s interferes with free rotation of HIPERTOUCH® 24 series triggers. Users have simply removed the ambi control and restored proper function of the 24 series FCG. Some safety selectors, such as the JP Adjustable/Reversible Safety Selector, have adjustable set screws and locking screws that eliminate sear/trigger travel. HIPERFIRE® recommends you review the selector manufacturer’s installation instructions to ensure proper selector function.